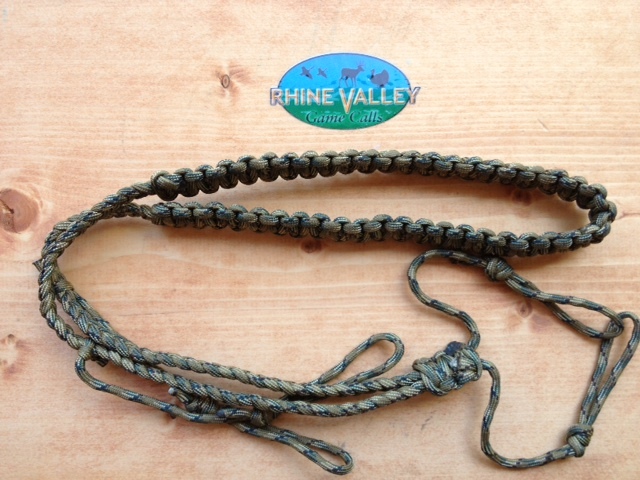 All Parachute Cord Lanyards come with (3) loops for holding your favorite Duck or Goose Calls. Very handy in keeping your hands free during Hunting. 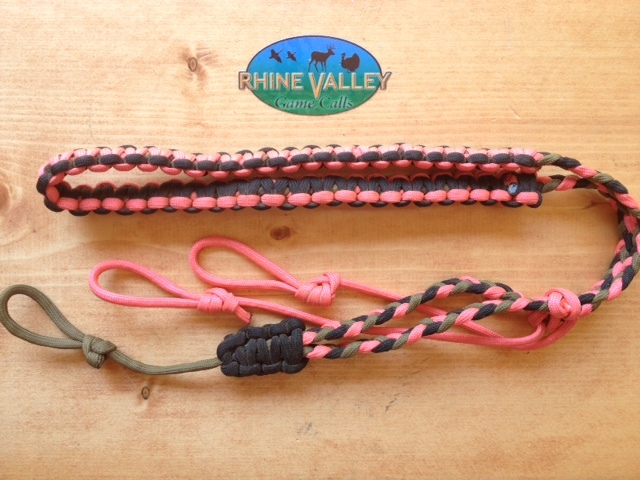 Pink Parachute Cord Lanyard is designed for the Female Hunter in mind. 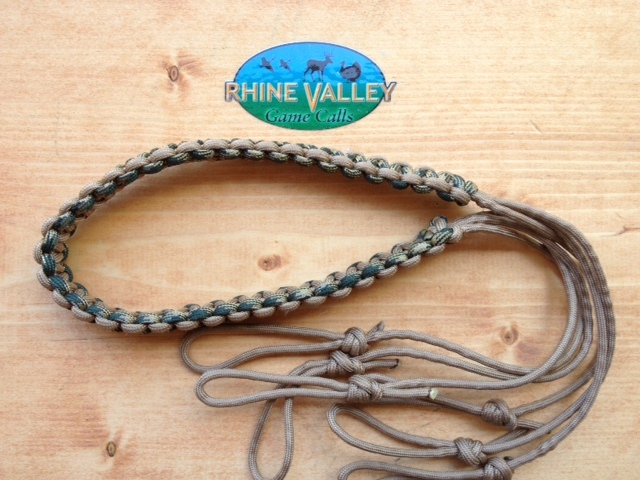 This Lanyard comes with (3) Call Holders to hold your favorite Duck or Goose Calls. Camo Parachute Cord Holder. Unique Camo color that comes with (3) Call Holders to hold your favorite Duck or Goose Calls. 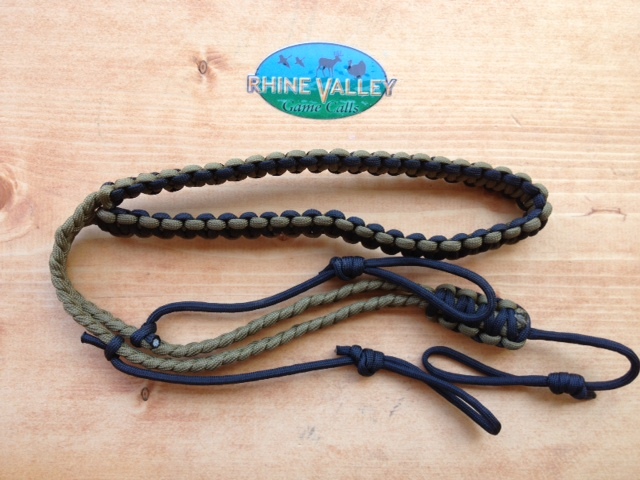 The Green and Black colored Parachute Cord Holder comes with (3) Holders to carry your favorite Duck or Goose Calls. This Hauler comes with 6 loops for getting your Harvest out of the water and to dry ground. 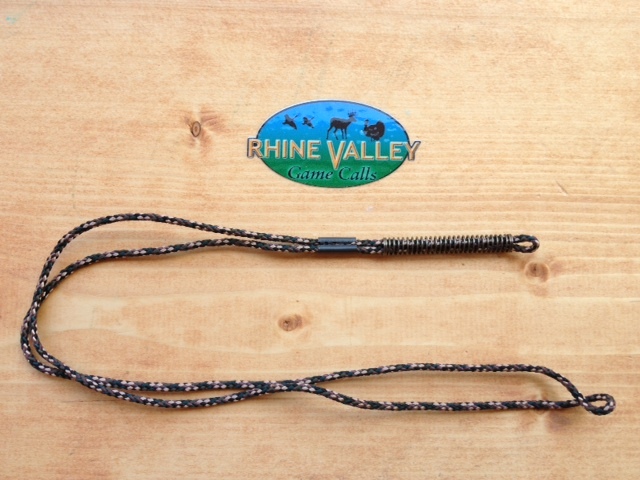 Single Camo colored Lanyard. Great for Predator Calls, or single Duck/Goose Calls.